Testing trusty desktop on a laptop, natural scrolling is off by default. In this day and age, this makes no sense; ios and Android have conditioned users to understand that when they want to scroll a document, they touch it and drag it in the direction they want it to go. The option can be changed by the user, but it's important to have the default that gives the best initial impression to the user. 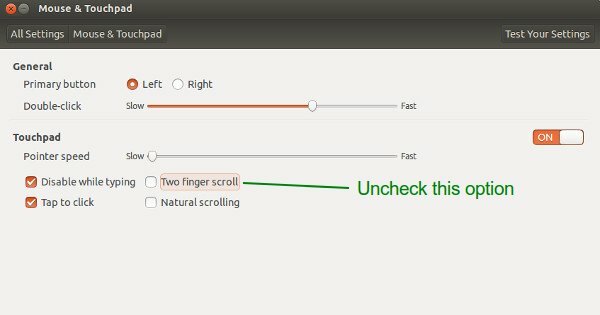 I'm not sure what you mean by "natural scrolling...." Do you mean applications should scroll their windows using a touchscreen? If so, that's a bug you need to file against the toolkits like GTK, Qt, etc. or against individual applications. Filing a bug against the Unity shell is not the same as filing a bug against Ubuntu in general. Natural scrolling is the default on iOS, Android and OS X. Non-natural scrolling is really a historical throwback to the times before touchpads and scrollwheel mice, where it was usual to scroll by dragging the slider with the mouse, rather than dragging the content.